Since always lot of protein has to be pumped into whatever dishes I make for the kids, I thought of trying out dosas with brown rice and black urad dhal. It came out so well, so tasty and crispy. Here I am, sharing this excellent recipe with you all. One more thing is, this batter can be quickly ground in the blender itself. So, the hassle of using the grinder, then washing and wiping it , are all saved. 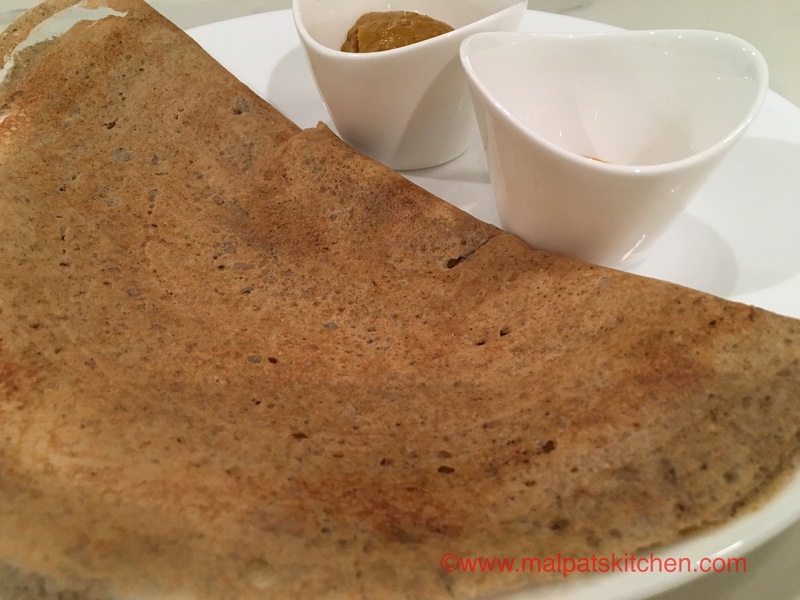 You want to have a look at my other Dosa varieties? Picture below shows all the measured ingredients, then soaked in water for 3-4 hours, then the ground batter, salt added to it, and finally the fermented batter. 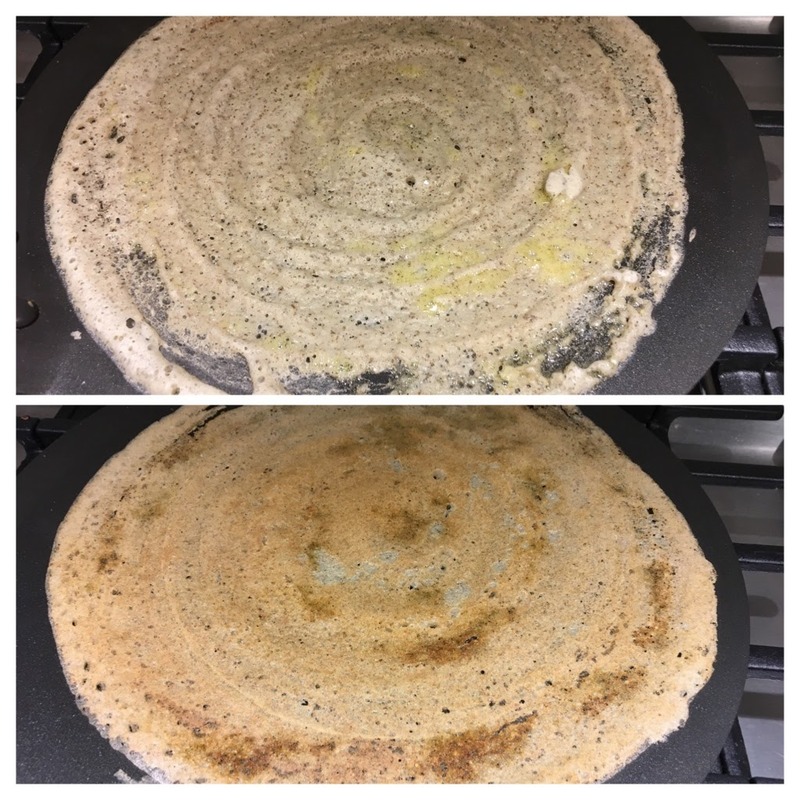 Heat the tava, pour a ladle full of batter and spread to thin dosa, drizzle oil around it, allow it cook on medium flames till that side becomes golden in color, then the next picture shows the flipped over dosa. 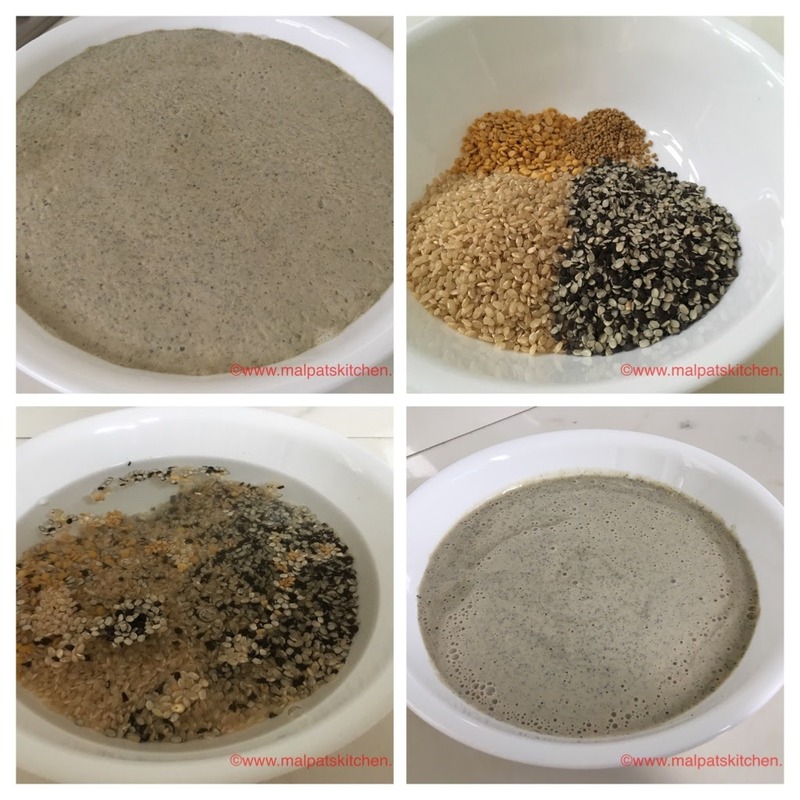 *Using the whole white urad dhal is bound to improve the dosa color. * Onions can be chopped, some veggies finely chopped and added, and oothappams & soft dosas can be made. a must try. Highly healthy. Ingredients picture looks like you have 4 items to be soaked but you mentioned only 3 items under ingredients. From the picture, it looks like tuvar dhal. Please confirm whether dhal has to be soaked as well. Thanks for drawing my attention towards my omission of tuvar dhal, Neela. I have updated the recipe too. Yes, tuvar dhal also has to be soaked along with the other ingredients. Thanks for your prompt response, Mala.